Damn that’s some fine looking bottoms, gents. 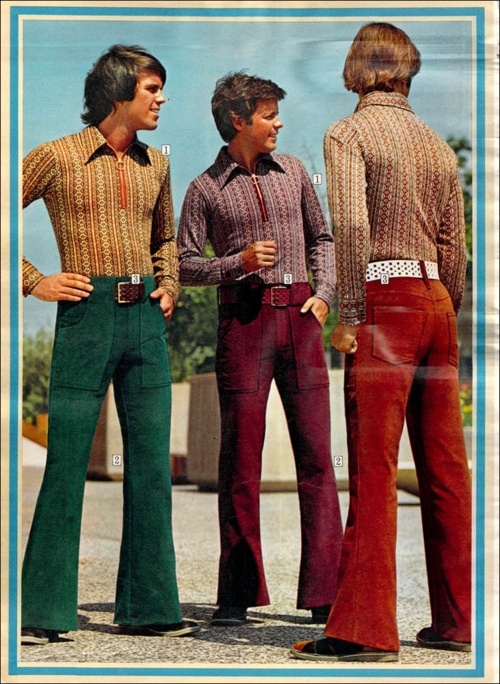 Bell bottoms, that is. Take another turn, lads, and show ’em some svelte booty-shaking corduroy action. There’s lot of talk about bottoms that happens in and around recovery. And we ain’t talking Daisy Dukes, y’all. It’s something we hear in the public vernacular, especially when it comes to another fall from grace from someone more often found in Star magazine rather than star-k naked and running around traffic in some sort of “state”. It’s bandied around like some sort of mythical place where your time card is punched and you get to take a seat in the game of life – you’ve been hit by that dodgeball, now sit out, young’n. “Rock bottom” is perceived to be something so horrible, so painful, so soul-crushing that there is no other way than up, and without it, we still flail around, bottle in hand. And there’s much truth to all of this. In the 12-step basic text, the word “bottom” isn’t used. Not once, if memory serves me correctly. But, they certainly discuss what a bottom does look like (for those who are keeping score, they do mention the word “bottom” in the 12 x 12). Phrases like “bitter morass of self-pity”, “pitiful and incomprehensible demoralization.”, and about going “on to the bitter end, blotting out the consciousness of our intolerable situation as best we could” describe to me the landscape of what our drinking looks like. Those aren’t descriptors you’d put on a Match.com profile, certainly. Those are the things we feel and see in ourselves to such a degree that looking in the mirror is no longer an option. I know a lot of folks, face-to-face, and in the blogging community, who struggle. We all know someone who struggles. On and off drinking. In and out of the rooms. Dodging cars on the expressway. There is the sense that something isn’t quite there yet. There is the sense that there is one piece missing in the puzzle. No matter how much one reads, or talks about recovery, or goes to meetings, etc. there is one thing that nags and keeps them away from sobriety. And that thing is pain. The pain when the fear of drinking finally outweighs the fear of not drinking. When I was in treatment, there was a guy I befriended. Our love of Monty Python bonded us and we’d quip lines from obscure skits, trying to trip each other up. The sense I got from him was that while he took Python seriously, recovery was something else entirely. I never got the feeling that he was broken enough, or hurt enough to be there. He had a hard time with opening up, and he was more interested in getting back to his job than in working the steps or distinguishing himself as an alcoholic. One day, he got pulled into the office by a counsellor and was quite simply told that perhaps what he needed was to go back out and “get some more pain”. What?? A treatment counsellor telling him to go back and drink more? Was that guy insane? I get it now. We were all shocked by that and he was hurt and his pride wounded. But I understand what the counsellor was saying. I get the sense from many folks that I meet is that the pain isn’t deep enough yet. The lurking notions are still there, that while part of them is saying “no more, please”, the broken part of their spirit is still saying “yes, barkeep another, and make it a double”. I know that because I have been there. In pain, but not in enough pain. Ready to drop dead in mind, body and spirit, but that spark still alight in me that told me drinking was still the solution. That I was overreacting. That I just needed a few days rest. That next time, it would be different. You see, hitting bottom for me wasn’t about the externals. People have the idea that hitting bottom is all about the DUI’s, divorce, bankruptcy, homelessness, etc. That is far from true. Those do happen to us sometimes when we get into the ugliness of consequences, but the consequences themselves aren’t the bottom. They may be part of it, on the surface. I got arrested on a DUI, got booted out of the house, was jobless, had no access to my son, and had nothing else going for me except discarded empties. You’d think that that special day in my life was my rock bottom? Guess again. I drank about a week or so after. Just a dull, boring, pathetic, lonely drunk. There’s a good bottom there, Martha! You know how much I like a flowing skirt kick, my dear. And that was my last bottom. And you know what all bottoms sound like? They sound like this “I can’t do this anymore. Help me please anyone”. That’s bottom. That was bottom for me, at least. It had nothing to do with what was going on around me. It was all an inside job. The moment my ego cracked just enough to allow the light of the Creator in and to realize that I needed help, that I couldn’t do it any more, that I had ran out of ideas completely, that was my bottom. My bottom was that fear of drinking finally tipping the scale the other way. I knew that if I kept drinking, I would die. There was nothing drinking could do for me any more. I was getting worse at a rate that frightened me to the core. Alcohol ceased working for me. I just didn’t want to live that way anymore. You see how that works? 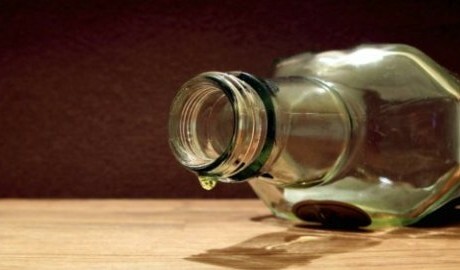 I used to do the old alcoholics prayer of “Dear God help me – I promise not to drink again if you get me through this!” over and over again, and when I got just well enough to take a pull from a bottle, I was there. Promise forgotten, like all my other promises, lost in the dingy shadow of my juggernaut alcoholism. But this time it was different. There was a deeper complexion to my plea. I felt absolutely broken and horse whipped. I saw no other way but up. I couldn’t conceive of going down any further. This was the floor I got dumped out of on the elevator which only headed south. This was the last stop on the train of destruction. One need not have to go through the horrible things that many of go through. One need not be incarcerated, arrested, put in detox, sent to treatment, divorced, etc. to hit bottom. I know some folks who successfully stopped drinking long before those things happened. They saw the writing on the wall long before I did, and realized that they hit bottom the same way we all did…but still had jobs, spouses, etc. It’s not about what we have lost on the outside, but what we’ve fractured on the inside. 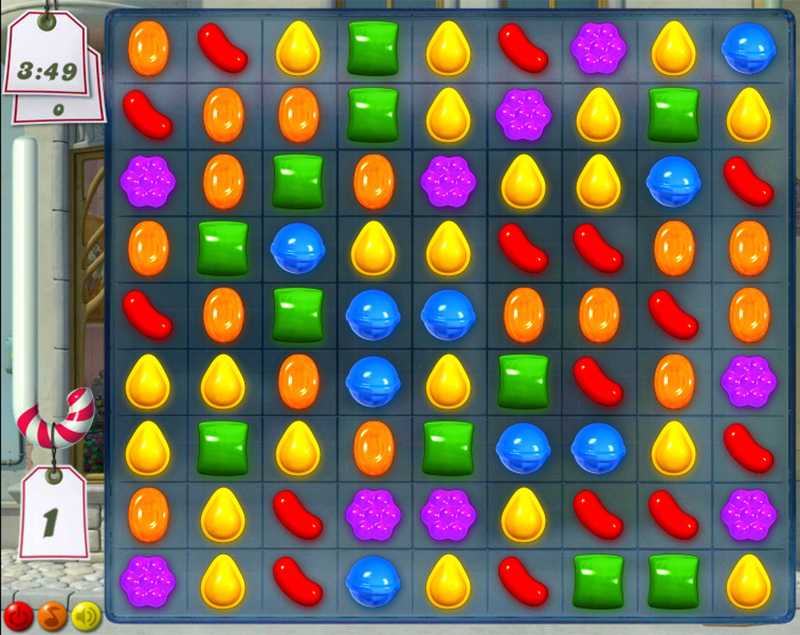 Experiencing that crushing feeling that comes just before asking for help. Knowing deep in our heart that our next drink could land us in the grave. Knowing that we’d go even more insane. Knowing that we were tossing away what little of ourselves we managed to hold onto, like a scrap of cloth. The only crushing going on these days. Pain. It comes down to pain. It wasn’t until I could fully concede that I was alcoholic and that my life was clearly unmanageable and that everything I touched turned to dust and that of my own, I was nothing…then nothing was going to change. Sure I knew I was an alcoholic for some time, but not really. I left some wiggle room. It’s the wiggle room that kills. It’s the wiggle room. Leave that space open and alcoholism and ego will use it like a light sabre to shred the rest of our lives up. Upon closing the loopholes was when my life started to change. Getting rid of those notions of perhaps being able to drink again was when things shifted in me. When I took the beer goggles off and saw things for what they truly were…then the metamorphosis could truly start. For those out there who are still struggling, I know this is not uplifting news. But this is not a pronouncement, a declaration or a prediction. I am just passing on my experience. And my experience has shown me, and in others, that we don’t hit that bottom until we stop holding onto the idea that we can still drink like others. We don’t hit bottom until we stop holding on the idea that we can heal ourselves on our own. We don’t hit bottom until we stop holding on to the idea that we’re different than other alcoholics (“terminal uniqueness” is what it’s called). We don’t hit bottom until we stop holding on the to idea that I’ll manage. In trying to stay sober, I can distract myself all I want, I can reward myself all I want, I can look at how much money I have saved all I want, but in the end, it’s where am I inside? Have I truly hit bottom? The moment I let go of all those things, I was on my journey, on my new path. And remaining sober and happy requires that I continue to do those things. That’s because those things do not go gently into that night. They like to come back…over and over. And the more I learn to handle them, using the tools at my disposal, the less effective they are on me, the less sway they hold over me. What a gas – I get to handle things like a grown up! Yipee! I always wanted to be a grown up. As they say, I may not have had the hardest childhood, but I certainly had the longest. Wheeeee!!! Look ma, opposable thumbs! And the only way I can grow is from the bottom up. The tragic thing is that so many of us never hit bottom. Instead we bottom out and die. Simple as that. Sad as that. The great news is that I have seen many of us struggle finally get to that place of illumination and clarity and move into successful sobriety. I have seen it here on the blogs even. I have seen those struggled with alcoholism and doubted whether they really were alcoholic, or who doubted the process or who continued to ask “why me?” when they drank again and again. I have seen those people hit bottom in an unremarkable or remarkable way and then just fly from there. They got it. They felt the pain enough. They got down to brass tacks and those tacks punctured the ego and they got to work. And they are uplifting, inspiring people that I continue to watch grow today. Bottoms aren’t evil. They feel like an egg cracking on the inside. but they are the hard ground we need to hit, so that we can start our journey of healing. They become the touchstone of change. And I don’t believe in “high” bottom or “low” bottom as much as I believe in “functioning” or “non-functioning” alcoholic. To me, bottom is bottom and alcoholic is alcoholic. And for this booze-pig, bottom was enough to secure me a life of happiness, serenity and love. Thank you for this great post. For my next post (which is about a weel over due according to the time keepers at WP) I’m going to write a bit of my story. Not the whole thing because I can speak at the next int’l convention at kill the wole 3 days. Yikes – what a story that will be! I tried finding your blog again (wanted to comment on that insane post of yours) – but couldn’t find it. Can you send me the link? Our stories are compelling, aren’t they? I have heard / read hundreds if not thousands and I still find them appealing in terms of identifying. Thanks for being here and look forward to reading your tale! Hey Paul here is the link to my blog. I only have 1 post up so far and part of it is procrastination and the other part is this dry drunk is busy goint to meetings and cannot figure out how to get my pictures up here or make my site look presentable. http://dorkmasterfunk33.wordpress.com/ Please visit, I have only been visited by 2 peolle so far. I’m a bit lame at promoting my blog. I have come to the conclusion that it is pain and our particular reaction or tolerance, plus about a million other mysterious factors, that dictates when we stop. It makes sense then that remembering that pain is key to our recovery. I too have no desire to go back and see how much worse it can get. p.s. 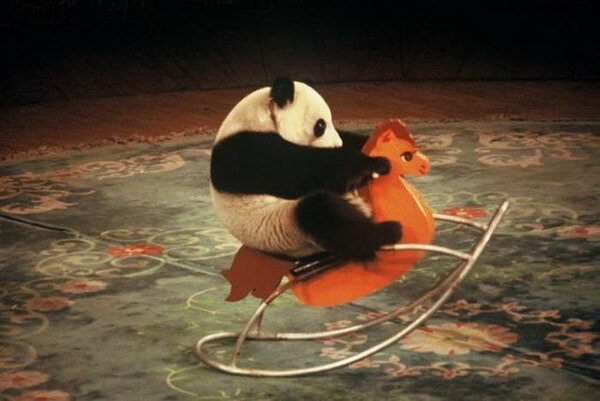 if panda bear on rocking horse is photoshopped, I don’t wanna know. Certainly there are some other factors, of course – but for me it was all about coming down to “how much more pain can you take, buster?” I heard a guy share at a meeting how he’s been “dry” for a year, and still feels exactly how he felt when drinking / drugging, but hasn’t had enough pain to actually start doing the work of the steps. He said he knew that something had to give – either he would pick up or things would get worse. 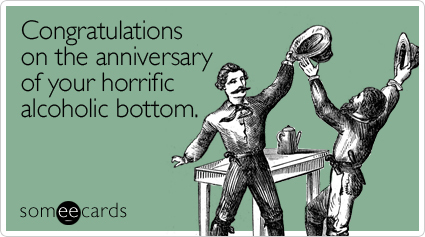 We get bottoms in sobriety too – lots of stories there too. But I agree – pain is the key. Yep, this just about sums it up, Paul. As always, our experiences are similar. External bottoms… I had many, and guess what? I kept on going, sure that I just needed to get past the current obstacle, and then life would smooth out. I. Can’t. Do. This. Anymore. And I prayed for help, not help to get me out of the “mess du jour,” but out of the whole mess that was my life. I actually said the words out loud, “I have tried, and I clearly don’t know what I am doing. Please help me.” The words were said while on my knees, in the middle of a freezing cold, dark night, but I tell you, looking back, it feels a lot like my life began in that moment. There was no magic potion that night… I didn’t get up off my knees and suddenly life was grand. Far from it, the weeks that followed were some of the hardest in my life. But it is in the continuous action of moving away from addictive substances, in the continuous belief that I did not want to go back to the pain that consumed me in that moment, the continuous reinforcement that I was moving towards the positive goal of sobriety, that makes that night magical for me. I hope I never forget that evening, because I hope always to count it as my personal bottom. Thanks for writing about this difficult subject in such a poignant way, Paul! Well said, Josie…well said. No magic potion indeed. No fairies and rainbows and puppies. It’s a tough slog at first. There was lots and lots of pain through those first weeks and months. But the good thing is that we get through them, and see how resilient and strong we are through finding our connection to a HP, and having a fellowship around us to keep with and to light the way. So dude…sometimes your posts just reach down into my gut and turn me inside out. This is one of those time…don’t worry – it’s a very good thing. I love everything about this post. I struggled with that whole concept of “high” bottoms vs. “low” ones because I didn’t want to admit I was like my father or my sister or the rest of “those” drunks who lost families and jobs and freedom because their bottom was “lower” than mine. In reality, their bottom was just “different” than mine. As you say, a bottom is a bottom and a drunk is a drunk and I’m one of them. So there. But this! This is genius! “It’s not about what we have lost on the outside, but what we’ve fractured on the inside.” I’m going to print that out and put it on my bathroom mirror so I can remember, every day what I fractured. Because things always heal stronger in the broken places. “Because things always heal stronger in the broken places.” Now who’s going to cut and paste on the bathroom wall, huh? That is magnificent, my friend!! And I love how you translated the “high” bottom, and “low” bottom to just “different”…and that’s exactly it. I imagine it like smoking (I never smoked) – some can be heavy smokers and just stop cold turkey one day and have a few jittery first days and then be fine. Others need to get to a point where they are chain smoking, getting ragged, lungs getting cancerous, oxygen tanks, etc. before they see that they need to quit. They’re both still heavy smokers, but some can get off the elevator before others. Thanks for the awesome comments, Sherry. made my day! Ha. “I can distract myself. I can see how much money I’ve saved…” I hear you loud and clear; if it were about the money I tossed into am aluminum trash can each week and celebrating every jingle jangle as the coins hit the sides, I would have taken out a $10,000 loan in pennies to get over the pain sooner. But, the more I work the Steps and the more I surrender, the more I accept the pain. Thanks for the post; good to be thinking this way today. Hi Linda – I love what you wrote about surrendering more, accepting the pain more, etc. That’s what it is, isn’t it? Letting go and accepting. Letting go is the most frightening and freeing thing that I can do today. It becomes less scary over time, but it’s still scary. But doing the ultimate surrender – the step work and realizing we aren’t running the show any more – wow, what freedom! My bottom didn’t mean lost job, family, wife, liberty, house etc. It did mean I was lost, bankrupt in spirit, emotionally and mentally. I was lucky I have so far not needed any more pain thankfully. Glad that things didn’t need to get so pear shaped for you, in the externals, Graham. I sometimes wonder what it would have been like for me to get help sooner than later. Would it have stuck? Would I have been desperate enough? i don’t know. But I truly am happy that you didn’t need to get to the outside extremes, even though inside you were broken in all ways. I hope you know that this message will reach beyond the scope of those battling alcoholism. I’ve never personally experienced it (not myself, not family), but have other demons that need exercised. When I read your posts, I often comb through looking for my favorite paragraph. AND, like other times, found all of the paragraphs in this post to be my favorite. “And my experience has shown me, and in others, that we don’t hit that bottom until we stop holding onto the idea that we can still drink like others. We don’t hit bottom until we stop holding on the idea that we can heal ourselves on our own. We don’t hit bottom until we stop holding on to the idea that we’re different than other alcoholics (“terminal uniqueness” is what it’s called). We don’t hit bottom until we stop holding on the to idea that I’ll manage.” This one hit me in the gut (a much needed sucker punch). The only difference was the word(s) I used in place of drink. Thanks for sharing. Loved it! Thank you Michelle – so glad you got something out of this, even though the bottle has been kind to you. That’s the only thing with talking recovery all the time – it’s hard to have non-booze pigs relate to some stuff. So that is why I am always chuffed when I see a “normie” (yes, we have a name for you folks…lol) post comments here. Makes this not-so-young man smile even more. But what you say is bang on – we all have something that takes us out of self. some drool while watching reality TV shows for hours on end every day. Some have sugar (like me) or smokes or drama queen moments, or whatever. Not to say everyone is an addict of some kind – that’s not it at all. but we have that *thing* we know that takes us away from feeling something. Ice cream, video games, etc. Anyway, I am just glad you found something that resonated with you. Luckily for most of the population, change can come about without getting to a bottom of any kind. Being in tune with our needs and being nudged to a better way of life is what I strive for…as we all do. Just being open to it is half the battle. Thanks for a very kind response back and for calling me out as a “normie.” I’m very careful about commenting on things when I haven’t walked in that person’s shoes and only hope that anything I write doesn’t come across as self-righteous or all-knowing. Your larger message (and sense of humor) reached me instantly and brought us to the same place…two humans trying to get through this life feeling valued and loved by the folks who mean the most to us. Pretty simple but awesome stuff, no? I know what you mean, Michelle. 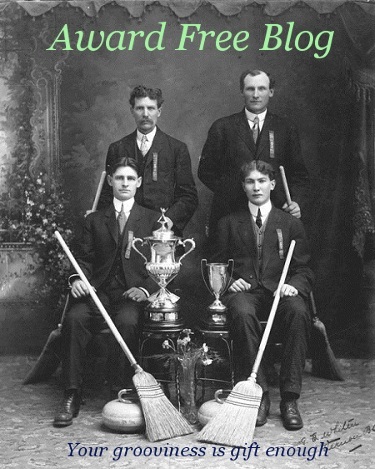 I sometimes feel I have to tread carefully on some other blogs where the prevailing topic is something that doesn’t have much to do with me…and yet I find something compelling. You don’t have to worry here about that. Alcoholics are the best at all-knowing and self-righteous…so go ahead, we’ve seen and read it all..ha ha. We are usually a self-deprecating group too, if I have ever seen one….lol. But the reason I still forge ahead on some blogs or just in general is exactly what you lovingly wrote – we’re just a bunch of humans trying to get through this life valued and loved by the folks who mean the most to us. And if I can add, to ourselves. That transcends topics, now doesn’t it? Tapping into that human-ness of ourselves…well, that never goes out of fashion, yes? I have one more very, very important question. 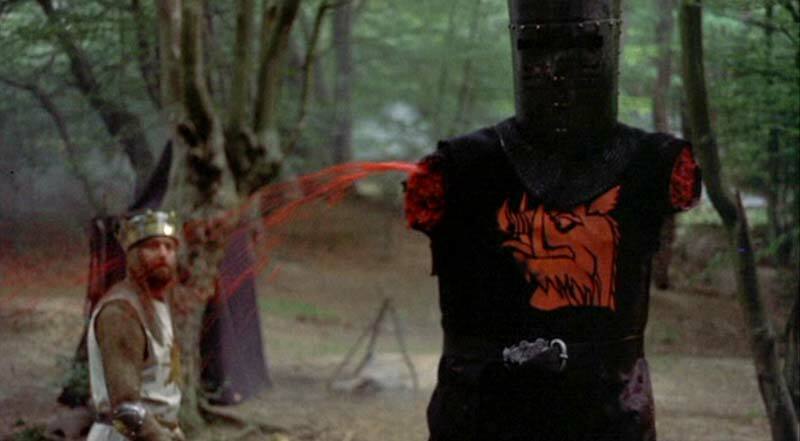 Reading ” ‘Tis only a flesh wound” did the same thing for you in my book! This is a perfect summation of how bottoms should be viewed! I am fairly recently sober, a little over three months, and I can still catch myself sitting in meetings, comparing my bottom and my story with other people’s bottoms and stories and that mental comparison is never ever ever going to get anyone anywhere except back on the bottle. That alcoholic in me wants to do all the comparing it can in order to rationalize trying to drink as normal people do, when I know that deep down there is no way that can happen. I am glad that this resonated with you. And congrats on your just over three months!! That’s fantastic! I used to do what you do. I did that in treatment. It took me a long time to see that comparing my bottom to others did nothing to serve me. It was me keeping me separate from them. I was looking at the differences, and not the similarities. And that’s ego at work. I knew that I couldn’t / wouldn’t drink, but I still compared, still wanted to get into self-pity. Why? I love self-pity is why…lol. It’s like a different form of drinking – just without the booze. Thanks for being here – love having you here. And ohhh yes! Self-pity is almost like a different level of high to me. It is so easy to get lost in. I look forward to checking out that article as well. My second bottom was a few months ago where I realized something wasn’t working and I went back and got another AA sponsor after working with my SLAA sponsor for several months. She is awesome, but not alcoholic. I needed an alcoholic. I was at the end of my rope again and when I walked into an old coffee/wine bar I used to drink in and almost ordered a glass of wine – it literally trembled on the tip of my tongue to ask – I knew that was the end. I needed to change something. So I did. The bottom for me, both times, has definitely been that something just isn’t working anymore. Thank you for this post, thank you for reminding me not to look at the differences, but the similarites. I always need to hear that. I recall a counsellor telling us that he had 32 bottoms. I gasped. I thought you only got one? But I get it now. I have had probably a dozen or more. I haven’t categorized them…no point. But I know it’s like you said – something wasn’t working any more. Thank you for sharing these bottoms, Laurie. Amazing. And amazing, because while I didn’t mention it in the post, we *do* get bottoms in sobriety. Emotional sobriety is a big thing for us, and many of us don’t get it right away. or ever. The booze might be gone, but there are still people who transfer that acting out to something else (I know of a few people who shoplifting was their next thing). So I get the SLA / AA thing – we need to have someone to identify with and work the program that we need to work. I am so happy that you got an AA sponsor for the alcoholism. While the 12 steps are 12 steps, the symptoms are different for each drug / behaviour. Thank you for this post Paul. It really speaks to where I’m at right now and I just read it all the way through but am going to have to digest, come back, and read it again. The ‘wiggle room’… I can feel that I have indeed still left that there and it scares and frustrates me. I’m starting to wonder if it’s the ‘thinking I can heal myself’ that is the problem. For me, right now, what really frustrates me is that I honestly thought I had reached that place of “I can’t do this anymore” and then I went back, and it wasn’t great, but it wasn’t so horrible (funny how we accept ‘crappy so long as it’s not horrendous’) and I’ve been mentally struggling ever since to recommit fully to sobriety. And yet, I’ve had enough recovery to know that it is hard but worth it and that drinking will only ultimately bring me more pain. So why do I still feel a bit ‘meh’ about the ‘whole recovery thing’ right now? Thank you for your complete and raw honesty, Lilly. That’s a huge step in seeing what is in front of our eyes and in our minds and hearts. And that’s amazing that you can call things as they are not judge them. The “meh” of getting sober is the tough one, yes? The one thing that often drives us to recovery is desperation. Without desperation of some kind, in my experience, there is a chance of drinking again. I mean, if I am not desperate enough, what’s the point then? it’s like finishing an essay. Sunday night at midnight is usually cram time, because we are desperate to have it ready for Monday morning. If I am hanging with my friends on Friday night, what’s the rush then? Desperation for me felt like that Sunday night. Grasping at straws…followed by complete defeat. Don’t get me wrong, I had many of those times where I said “I can;t do this any more” and then went out and drank again. Why? that wiggle room. That lurking notion, that tiny, tiny part of me that still said “You got this…it’s not that big a deal”. Ugh. I don’t have any advice on this, Lilly. We can’t manufacture that desperation. But if you are at a place where you know drinking brings you pain and sobriety is something you saw the benefits of, then what do you think you can do differently this time? that’s the question that is asked of someone coming back to recovery – what is going to be different this time? That is, is there a new plan of action involved? Again, I have no answers, Lilly. I know that you want this, but it’s that voice inside that doesn’t want it. Try and try again, my friend. I saw that you have some plan for six weeks – I hope it works! And if AA isn’t your thing, there are other things like Rational Recovery, SMART, Women for Sobriety, etc. out there that have action plans that aren’t 12-step based. I was incarcerated x1, arrested x2, no detox but treament was recommended, divorced, and 2 hospital visits. Well 3 if you count the medical tent at a festival. And none of that got me to quit seriously. I did AA a few times and I think I stayed sober a little over 90 days after my 2nd DUI. But I really think all those times I tried sobriety, I treated it was a training session for me to learn to control my booze. I’m only 30 days sober. I like to think I hit my bottom when I saw the possiblity of losing my career (due to those DUIs even though the last was 7 years ago.) Time doesn’t make everything go away. And I honestly can not say that I never drove drunk in the past 7 years. I am trying to write a mistake made from my drinking or while drunk daily for a year. Maybe all those “bottoms” will be enough weight to help me stay sober for good. I too had many hospital visits, arrested, etc. and they didn’t stop me from drinking either. I just thought I was having a bad run of luck or something. I thought that maybe it was nothing. I justified it all and rationalized it all, of course. I know of someone in the program who had a dear family friend get killed yesterday by a drunk driver who had two previous DUI’s. Tragic, but shows that the externals don’t always drive us to sobriety. I’d be afraid to write a list of f-ups I would do while drinking..yikes! But even that shame wouldn’t stop me – that would make me drink more. it wasn’t until I knew the jig was up for good that I started to look at things differently. i hope that your 30 days is the beginning of a wonderful, wonderful life! Hello Paul and 365, For me not drinking was almost easy. It was staying stopped. I worked in Downtown Manhattan and drove home drunk to Brooklyn every night. I took the Battery tunnel too, maybe to increase my odds of getting caught DWI. I don’t really know, I was a Wall Street drunk so I believed in immortality along with my immorality. I would drink early in the day, lunch time, before the market closed and after the market closed. If it rained if it was sunny out or just Tuesday. It was always a good day to drink. Eventually the luck starts to change, 1 DWI, 2 DWI’s, 3DWI’s and a Lawyer that was good friends with a few prosecutors in the Manhattan District Attorneys office. I never suffered the fate of the DWI’s because lawyer had enough connections and I had enough money from running boiler room brokerage firms so nothing would stick. At least thats what I thought. The 2nd DWI I was told to go to rehab for 28 days. We drunks never learn. #3 I had to go to live at what the judge referred to in his chamber as ” a TC”. My lawyer started to laugh, when I questioned what that was and he said ” I’ll tell you when we leave the court house.” What the f#%k? He told me it is a Theraputic Community in beautiful sunny Dallas Texas. That was the good part, the bad part was that I had to pay for it myself. Health insurance companies barely want to pay for rehad for 28 days, needless to say 6 months at a bootcamp for drunks and drug addicts. It was the best thing that ever happened to me. Getting arrested and getting off was like a Gold Cup Trophy to me. It had no effect, even going to the rehab had no effect on making me ever stop. I did however get out of rehab and go to some AA meetings but not before I stopped in the local liquor store and cop a bottle of Johnny Walker Black. I would take it home to drink because I was a bit embarassed that if I went to the pub people would know I went to rehab. MY twisted drunk mind, I was out of the rehab less then 2 hours and drinking again. I didn’t drive because I was afraid of getting caught again. That lasted 4 days. 4 days and I was drinking and driving again. I don’t want to hijack your comment section and do my whole drunkalog. I will post it though this weekend. I just hope I can make my page look nice like most bloggers do. Great share, my friend. Thank you for opening up and letting us in. Drinking and driving got me in a mess of hot water too, believe me. Have a wonderful 24 hours. Early in my sobriety, I shared in a meeting I thought I had a fairly soft landing. Another woman looked at me and said, “No, honey, you just haven’t realized how hard you hit.” Right, she was. The depth of my denial was so deep, I didn’t see how much damage I did when I face-planted on the bottom. I love what that woman said…boom! We are dizzy and don’t think we feel what we’ve landed on, then we wake up and see the real damage for what it is. Denial…that’s something I didn’t mention, but deserves a whole book dedicated to it, Dorothy. Thanks for bringing that into the mix. –Man, that’s just it. It’s when we come to a point of emptiness, dissatisfaction and an understanding that, alone, we can’t do it. I reached that place when I was 19. I remember one night, we had a bit of a party happening in my apartment (my apt was a party place), my friend and roommate’s boyfriend was so drunk on tequila and it was craziness. I looked out the window and said to God, “God, if you are real, give me a sign. Take ma away from this. I don’t want it). Soon after, a number of events took place in my life. To make a long story short, all in one day, my boyfriend and I broke up, my house burnt to the ground (ex bf was making marijuana oil, using gasoline and kaboom”. All that I had treasured was gone. No more bf, no more precious material possessions, no more atp. And in that same day I really realized that God was real. So much happened soon afterwards, which led me to the point of turning my life around. And boy, am I ever grateful that God, in his rich mercy and grace, took everything away from me so that my eyes could be opened and I could see how desperately I needed him to take over. What feedom. –Very true. Many people who seem to have it all together, on the outside, are really a huge mess on the inside. Plagued and imprisoned by their inner struggles. Thanks for yet another amazing post Paul. p.s. laughed out loud from the Martha photo and comment. Classic. Wow, Staci…what a tale. I loved it. It’s amazing how these things unfold, eh? Cleaning away the old and making way for the new. A clean slate. Phoenix from the flame type work He did, didn’t He? And you were open and receptive enough to see it for what it was worth. You may have still regretted and resented it, but you saw what it was all about…and that’s fantastic. and look where you are right now – that’s an amazing part of your journey! I love this story because you also see the message through the filter of alcoholism. I love that you shared this because this is universal stuff. And that is precisely what I am hoping to show a bit more – that while there are things that are clearly in the recovery realm, recovery is a spiritual path for many of us, and when it comes to spiritual paths…well, the world is our oyster. Thank you for adding some depth and weight to this corner of the world, Staci – I am so glad that our paths have crossed. For realies! P.S glad you got a kick out of that pic…(sorry). Oh, I’m so glad you appreciated my story Paul. And for your kind words, “adding depth and weight to…”. I’m really glad our paths have crossed to. p.s. why are you sorry about the pic? it was hilarious. I will have to re read and truly digest this post. Thank you! Thank you…and I am sorry to hear that you are struggling. Realize that we’ve all been there. No one quits drinking on a good streak. No one quits because they think that perhaps maybe some time in the future, there may be an issue. No way – by the time we think there is something going on, it’s already got us by the you-know-what’s. So we have all struggled – you are not alone in this. Justification and Rationalization are the dynamic duo that keeps us in the game. Or at least keeps us blinded to what is happening. We will move star and sun to make things line up so that we can line up the drinks. You’re right about that one. My life is full of miracles and you are one. I used to pray, for many years I prayed that God would reach to you, that He would shine His beloved light in your soul, your mind, your heart. I used to visualize God’s light shinning inside your mind, into every dark place and shine, and He did! You wrote on this blog ” The moment my ego cracked just enough to allow the light of the creator in…” Music to me ears. Thank you God. Paul sorry for such a long reply to 365’s comment. I can ramble a bit. Thank you for sharing this great part of your life with us on your blog and the one before this one. I love the panda btw. No worries on the long reply – any and all offerings are not only welcomed, but encouraged. We all learn from one another, and I certainly have seen a glimpse of what your life was like, and it shows us the different flavours that our alcoholism shows itself in. thank you for your service. The panda is pretty nifty, ain’t it?? Nelson aka Dorkmasterfunk2013 wrote some dynamite stuff on his blog. Cant wait to read more. He did, didn’t he? Did you read his share further up in the comments here, Mikey? Great stuff there too! Perception, Pauly. Its all perception. My bottom was just like any other day. I do not think I even drank the night before. I just woke up dreading another day. A normal mornings first thought was wishing to god that I was dead. The only difference in that day was, I realized that I was sentenced to this life for eternity. That nothing; not drinking or anything else, that I had at my disposal, was going to change it. I couldnt take it anymore. I had some crappy, forced experience with AA in the past. Yet for some crazy reason, I went looking for my late fathers big book. He was sober 30 years or so. Couldn’t find it. So I called the operator on the telephone asking about AA groups in the town. They gave me the inter-group number. I called. They told me not to drink that day and go to the meeting in the YMCA basement that night. For some reason, I looked forward to going to that meeting, all day long. What a wonderful story, Mike. I love reading those. It’s just one of those things where our HP has everything lined up for us. What was once another day where we feel we’re at the jumping off place, and then we are welcomed into the fellowship and handed a program that will save our lives? Magic. Gives me goosebumps. I went to a few AA meetings before my last bottom, but didn’t get a sponsor (although I tried, but wasn’t sure about it anyway) and just sat down, and didn’t understand the steps or how things went. So I drank again. Funnily enough, the first real meeting at the detox was an NA meeting – I certainly didn’t identify there! But it was good to see things in a new light. Thanks for sharing again, Mike. Really enjoy what you bring here. A wonderful voice. Love this post so much Paul….your writing is clear and concise and awesome. I am one who believes in the ‘Myth” of the high bottom..what a silly thing to call t. A judgment call, a way to be different unique, exactly what we need to learn to NOT do in order to stay sober. Whatever is our bottom is the worst, the WORST moment, and hopefully kicks starts recovery for us, The day I call my bottom was thanksgiving Day 2010, but the only thing that changed after that day was that I now knew I was an alcoholic. No idea what to do about it but attempt moderation and set “stop”dates that never quite panned out. But I KNEW….and I couldn’t not know anymore. I eventually started AA around the beginning of March and my last drunk…I don’t even remember. I do remember day one though…coming home from a meeting and having the thought “If I just go to bed right now, I can say that I have had one day without a drink”. I did that and haven;t used one day at a time since that day. I have hit many more bottoms in sobriety, but each time it has given me strength, taught me something new about myself and my program. I expect more, welcome more. I had one today, as a matter of fact..or over the last few days. I sat with a friend and a fear inventory and worked through it. The gift of sobriety is clarity. I got clarity before I got sober. My high bottom was a lie, useless. When I was able to let that go, to see i was no different than anyone else, I was able to be sober. So grateful for that. Thanks for this, all your blogs. So helpful and clear. Always resonate! Thank you, M. You made my day with your words here…so wise, so insightful. I am glad that you were able to resonate with what was said. once again, we are not alone, are we? And what you say about hitting bottoms in sobriety – very true. I didn’t mention that originally, but I know that we all hit other types of bottoms in sobriety. It can be confusing for someone new or on the outside to wonder how that can happen when booze is no longer in the picture. But we get emotional bottoms. Sometimes people get into other kinds of jams from the -ism of alcoholism. Sometimes we lose our way – we are sober, but that’s about it. And that is part of the work we do – the alcohol isn’t in the picture, but we are still dealing with the ups and downs of our lives and with the causes and conditions that brought us to the bottle. And clarity…oh yes, clarity…that’s one of my sponsor’s favourite words. And he strives for it all the time. i wish I were so diligent, but I do slip in that regards. But we’re human…progress not perfection, etc. Thanks M for this – what wonderful comments and what light you bring. Thank you so much, Lucy. I can identify with that poor suffering man and his poor suffering family…ugh. I hate alcoholism so much. It’s difficult to fathom sometimes where this takes us. Death’s door is where it goes and destroys so many lives. And ego is complicit in this. Ego would rather be right and die, than to be wrong and live. It’s messed up. And that’s what happens with us – we twist world and earth over to make things line up with our way of thinking…to rationalize and justify. Crazy! Thank you for sharing that experience and adding to this, Lucy. It’s very much appreciated and happy you’re here. It’s frightening to look back and see how quickly I was, with aggression and venom, hitting new lows before I could even lower my standards. My bottoms kept getting away from me. I simply couldn’t degrade my mental, emotional, physical or spiritual health fast enough and, of course, drank to erase any realization or memory of it. I am actually smiling right now at the irony of it all. How odd it must have been to have heard of the counselors words to your friend and fellow individual in treatment. It is however how I view my former self and some of the people I know who are still a wreck-up from the neck up. When I finally had my fill of pain, when I finally gave in to the idea that I simply could not drink, when I hit my bottom of bottoms is when I was ready to shift my mindset and make myself available for change. I won’t chase down anyone about their own substance abuse because they are not ready to change; they haven’t had their fill of pain. It reads like an awful thing to think but it is a stark and harsh reality as I see it. Well I certainly didn’t want to be all Debbie Downer here so I will push off. This has been a good read for me Paul, to reflect on where I am and how I have come to this point, and for goodness sake, how far I have come. Thank you my friend.